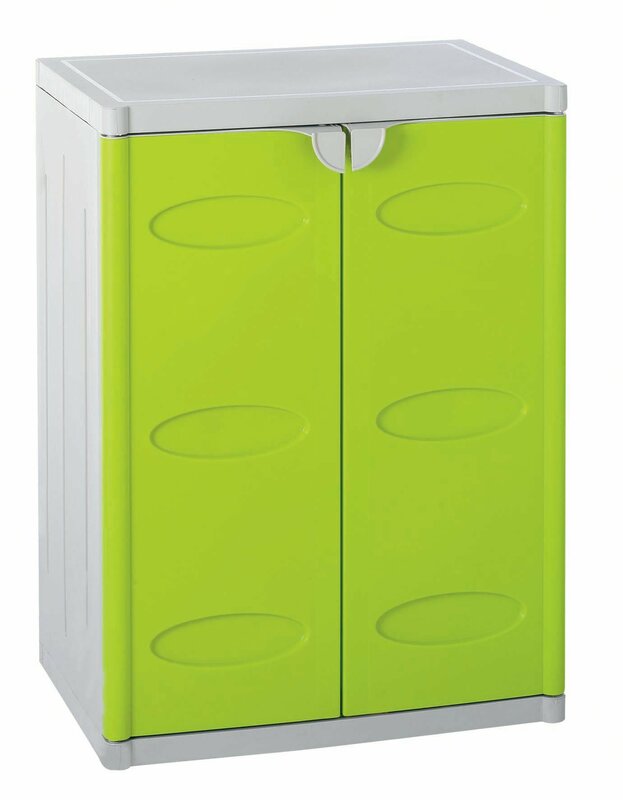 Multipurpose cabinet in resin for outdoor / terrace. 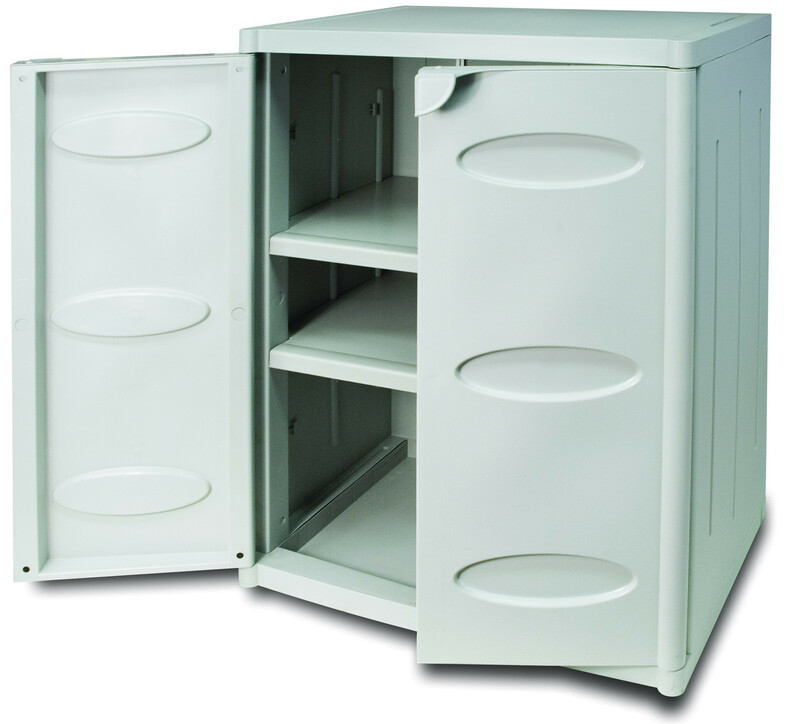 Low multipurpose cabinet System in resin for outdoor / terrace is designed to make the most of the outdoor spaces of the terrace, balcony and garden. 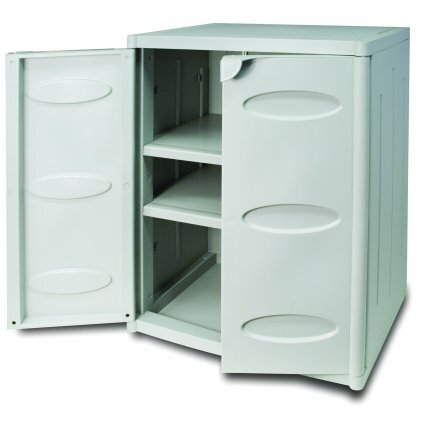 Low multipurpose cabinet System in plastic for outdoor use is made of plastic, inside there are two removable shelves. 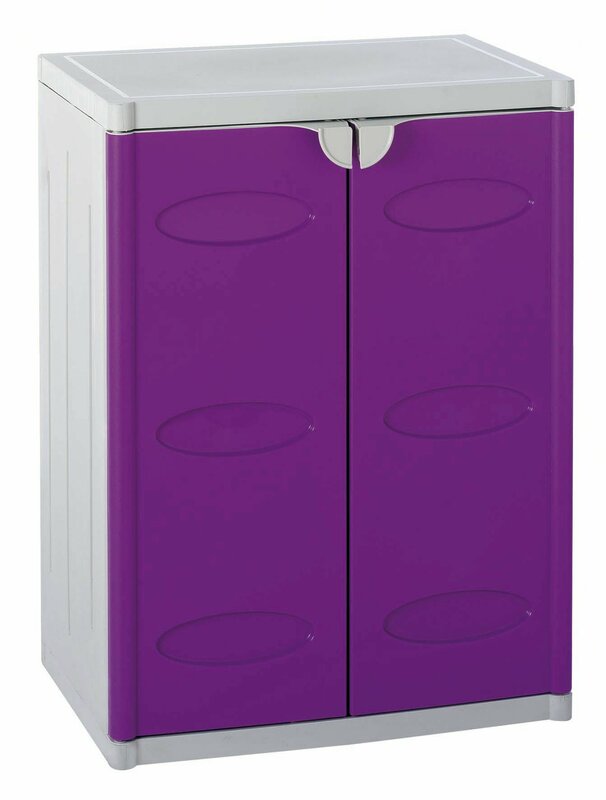 Available with grey structure, doors availables in: grey, green or violet.